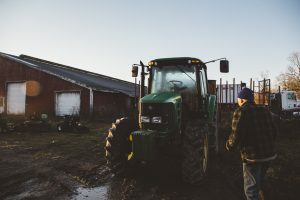 There are several state-level programs in Maine that provide important support to Maine farmers in the form of financial assistance, business planning, technical assistance, and education. The Land for Maine’s Future (LMF) Program was established in 1987 when Maine voters approved a $35 million bond to provide the State with funding to purchase lands of state significance in terms of outdoor recreation; the scenic and natural environment; high value wildlife and fisheries habitat; key access points to Maine waters; and working landscapes, including farmland protection to keep agricultural lands in production. Bonds were passed by Maine voters in 1987, 1999, 2005, 2007, 2010, and 2012 to provide additional funding to the Program. 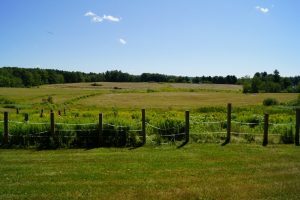 Some of the funding for MFT’s Purchased Easement Program has been provided through the LMF Program. 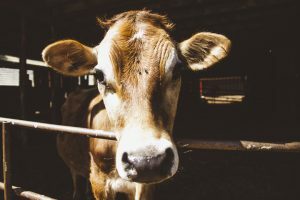 The Farms for the Future (FFF) Program is a competitive grant program that provides selected farms with business planning and financial assistance. The FFF Program contains two phases. During Phase 1, grants are provided to selected farmers to research ideas for business and operational changes to their farm and to work with a certified business counselor to write an investment-grade business plan. Farms that complete their business plan in Phase 1 are eligible to apply for Phase 2, which provides a cash grant or low-interest loan through the Agriculture Marketing Loan Fund to help farmers implement the project(s) described in their Phase 1 business plan. In exchange for this funding, participating farmers sign an agreement to protect their farms for seven years. The Agricultural Marketing Loan Fund (AMLF) provides low-cost financing to farmers, food processors and aquaculture operations to help fund new and innovative equipment and facilities in order to improve and enhance the manufacturing, marketability and production of Maine products. Funding from this program can be used for the design, construction, or improvement of such items as storage, packing, and marketing facilities, or for the construction, renovation, or acquisition of land, buildings, and equipment that are used as part of an agricultural business. 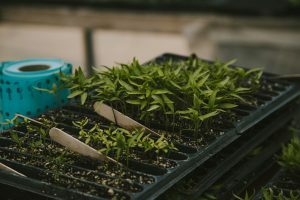 The Agriculture Development Grant Program provides cost share grants to conduct market promotion, market research and development, value-added processing and new technology demonstration projects. The grant funds are made possible with the interest on the Agricultural Marketing Loan Fund. 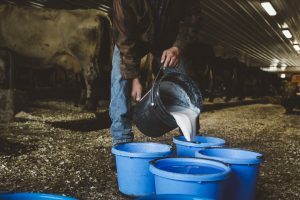 The Nutrient Management Loan Program helps farms and other agricultural businesses fund nutrient management projects such as diversion, irrigation, anaerobic digesters, composting or treatment facilities. The Program is administered by the Finance Authority of Maine (FAME) in cooperation with the Maine Department of Agriculture, Conservation, and Forestry (DACF); the Maine Department of Environmental Protection; and the Maine Bond Bank.